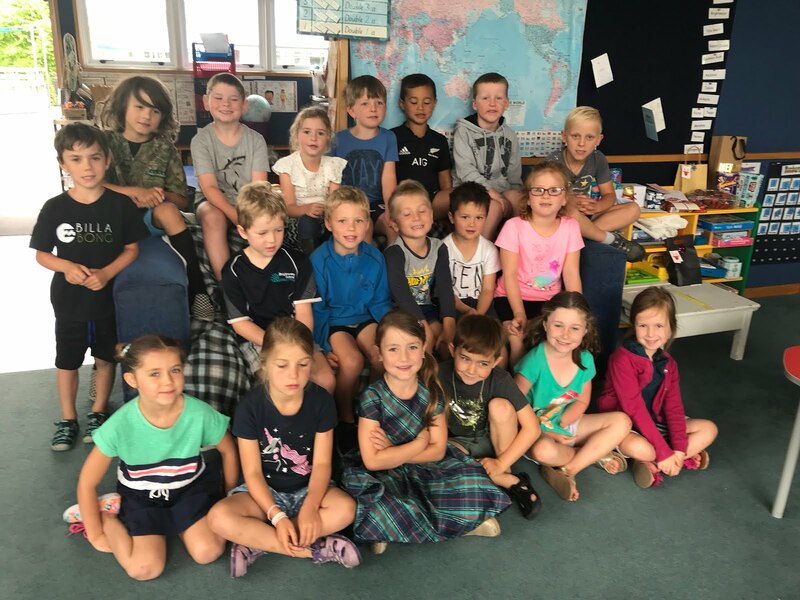 On Wednesday afternoon Robyn Belton came to visit Brightwater School. She illustrates childrern's books. She showed us the Greedy Cat books she has illustrated. They are written by Joy Cowley. She read us Greedy Cat and the Goldfish and Herbert the Brave Sea Dog. She showed us some of the scribbling drawings that she starts with when she is illustrating. Her daughter Katie is in one of the books. Robyn went on a boat to see where Herbert fell in the sea. She autographed some of our books and left us the sketches that she did while she was here. One day one of us might be a famous illustrator like Robyn. We have been very lucky to have had 2 sessions on Wednesdays with George Campbell learning some football skills. The whole school had a Wacky Hair Day to raise money for the Summit Rescue Helicopter. We had to bring a gold coin. Our class raised $30.00.